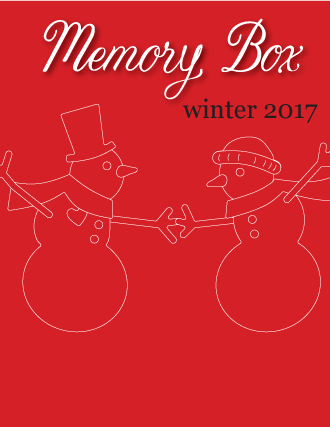 Good morning everyone and welcome to the Memory Box 2019 Spring Blog Blitz! We hope you will join us each day for inspiring ideas and a chance to win prizes! 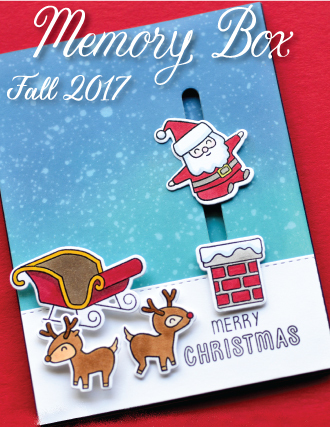 For my card today I used only a portion of one of the dies. I think it's fun to see how to get the most out of your supplies. 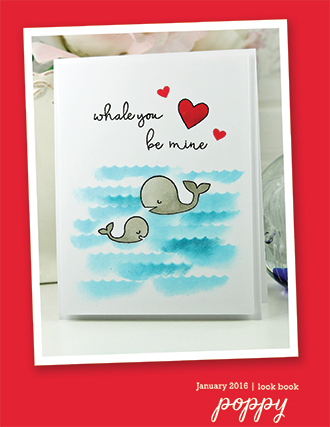 Laura's great card on Monday showed her using the whole die and I am only using the fish from the die to create my card. 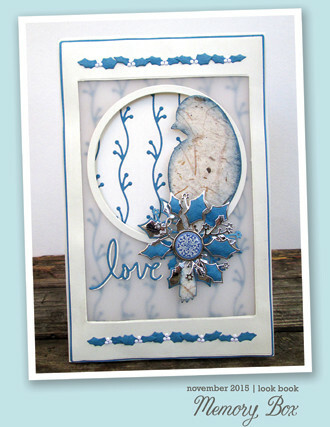 To create this card I die cut the fish 4 times from watercolor paper and glued them on my card front. 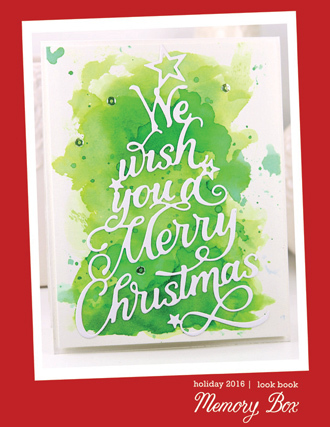 I also used watercolor paper for my card front. Once the glue was dry I sponged over the fish background with Distress Inks. I misted the background with plain water and let the ink drip and blend. Once the paper was dry, I stamped the word "sending" using black ink. 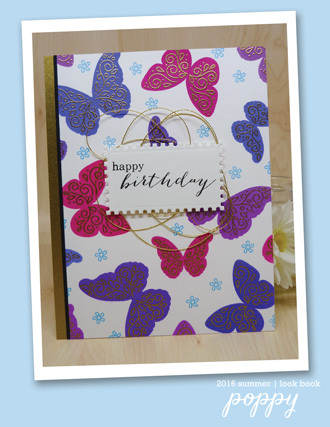 I used a distress inked strip of paper and stamped the "birthday fishes" sentiment with Versa Mark ink and heat embossed it with white embossing powder. I adhered the card front to a white card base using foam tape. 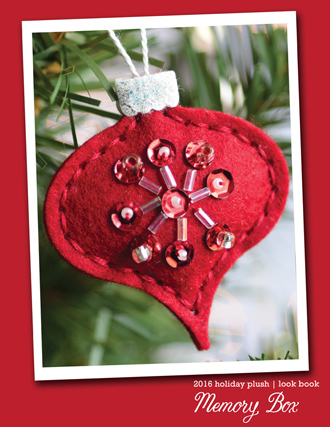 To finish the card I glued some clear embellishments to the front. Would you like to win the new Oceanside Typewriter clear set that will coordinate with all of your beach/nautical stamps and dies? Leave a comment to this post by Sunday, March 3rd at 11:59 pm EST. 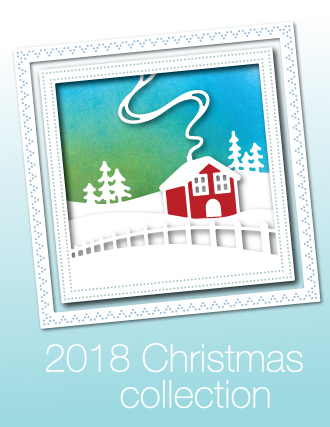 One comment at random will be selected to win the stamp set. There will be a chance to win one of the new release items each day this week through Sunday. 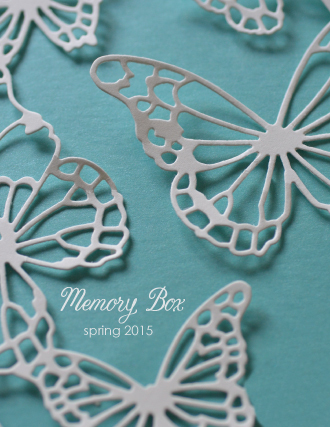 Winners will be announced on the blog on Monday, March 4th at 6 pm EST. Good luck! Good luck everyone and thanks for stopping by! 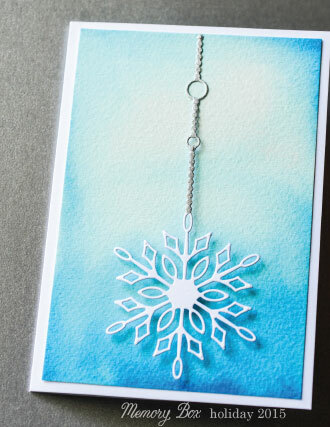 I started by creating a white watercolor cardbase. I then added various paint colors to it, concentrating towards the center. I then added a few splatters too. Let this piece dry. 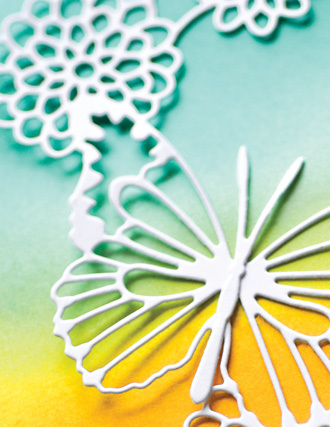 Meanwhile, I die-cut the butterfly and the floral wreath. I adhered the wreath to a piece of vellum. 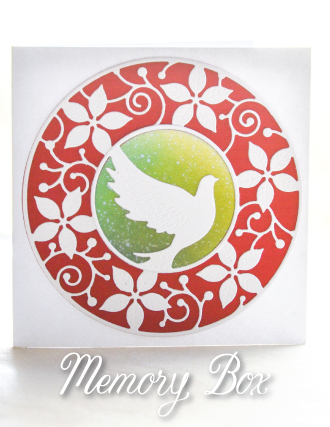 I stamped the sentiment in the center and adhered all the pieces to the card. Easy isn't it? 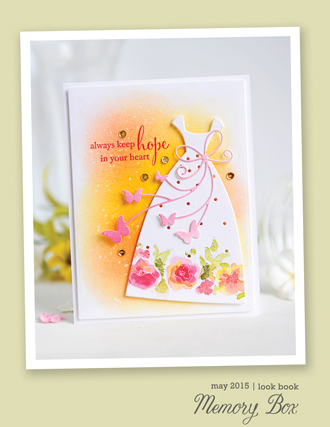 Just keep a lot of white space and you will have a fun, airy CAS card, Hope you got inspired by this card. 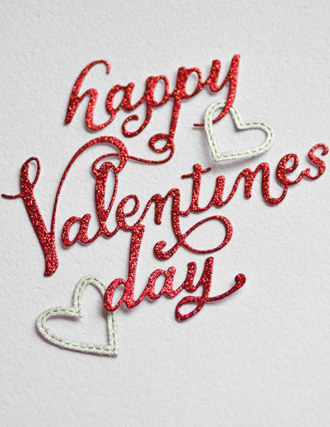 Have a wonderful crafty day! 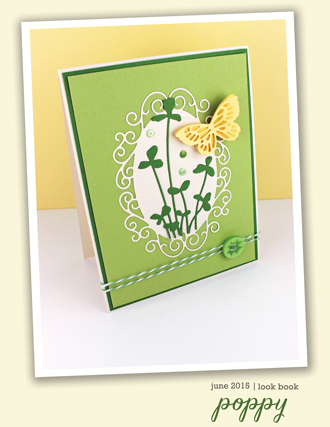 Want to win your own Butterfly Frond craft die? Leave a comment to this post by Sunday, March 3rd at 11:59pm EST. One comment at random will be selected to win the die. There will be a chance to win one of the new release items each day this week through Sunday. 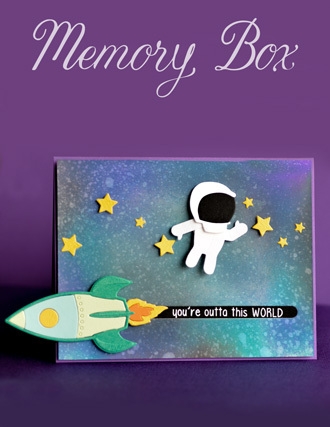 Winners will be announced on the blog on Monday, March 4th at 6pm EST. Good luck! 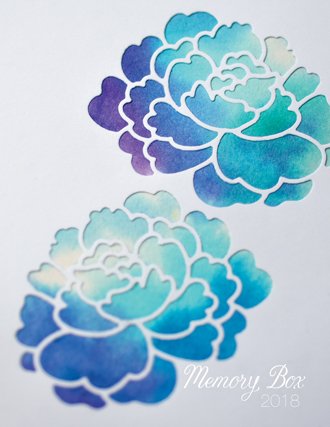 I started by creating a white cardbase and sponged a bit of salty ocean distress ink to create the background. 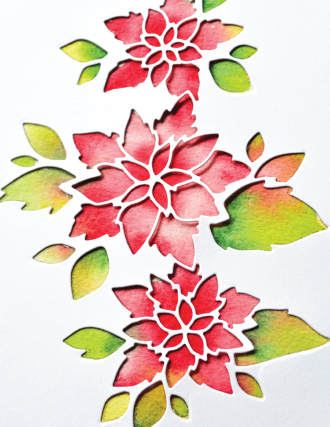 I then die-cut the floral wreath and added a bit of Shimmerz paints to it, let it dry. 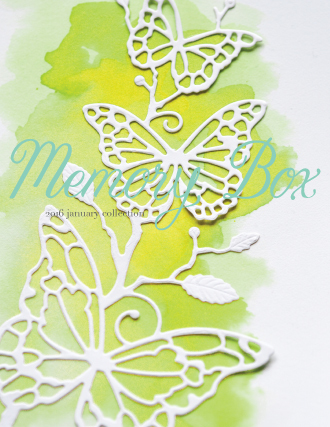 Meanwhile I die-cut the butterfly and added some distress ink for a pop of color. 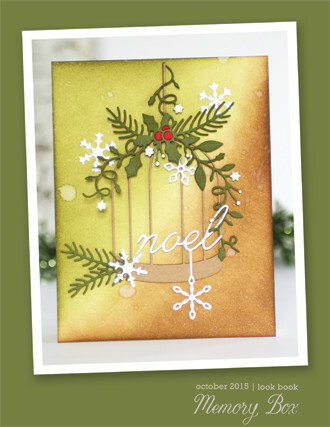 Now I stamped the sentiment and then adhered the die-cuts. To finish, I adhered a few crystals from Studio Katia. 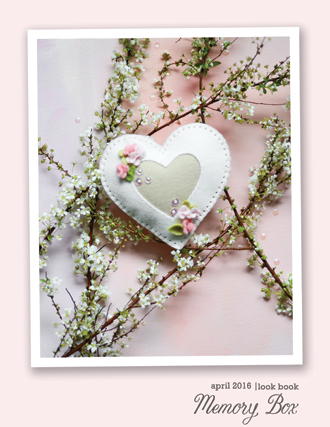 The new Cottage Flower Circle Frame is ready for spring...and so are we! 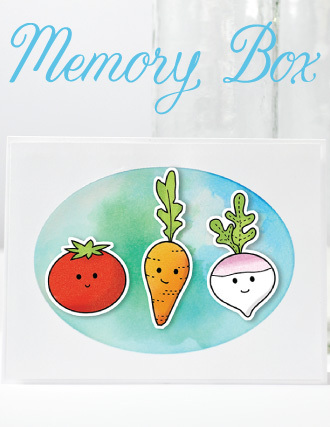 It's fresh, delicate and perfect when you need a quick card. 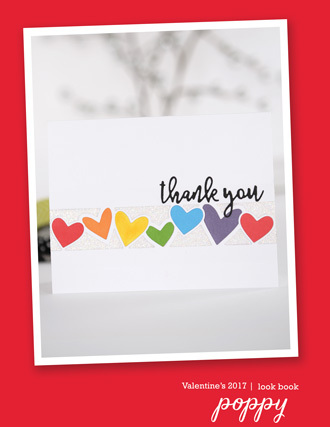 Finish it off with a message and dotted strip from the Bold Friendly Greetings Clear Stamp Set. 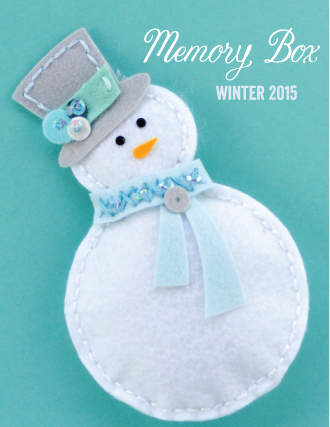 Hi everyone, Jean Okimoto here with a simple design for any occasion. 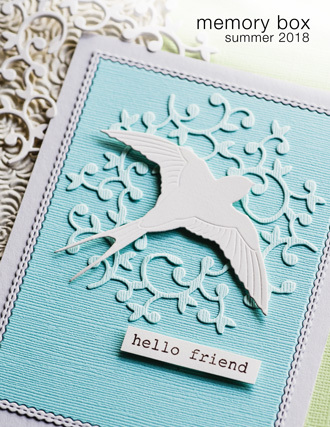 Add a dimensional look to your cards by pressure-embossing the delicate dies, then topping it with the diecut. 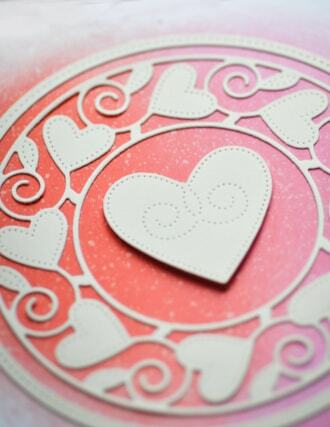 Cut textured white cardstock with the 4" Circle Basics die. Separate the frame and the blossom stem of the Cottage Flower Circle Frame. Pressure-emboss the frame onto the circle diecut. Cut the frame from smooth white cardstock. 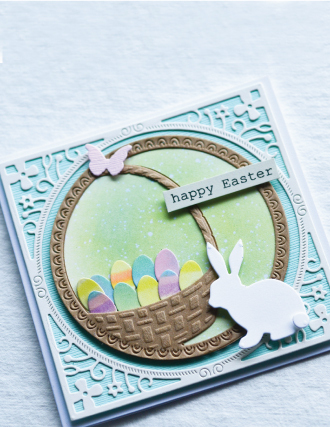 Here's a tip - make it easy to attach the diecut frame to the embossed frame. 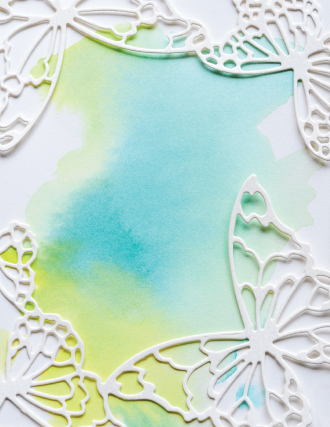 Just add tiny dots of glue to the soon-to-be-hidden sections of the the sturdy embossed frame instead of the delicate diecut. 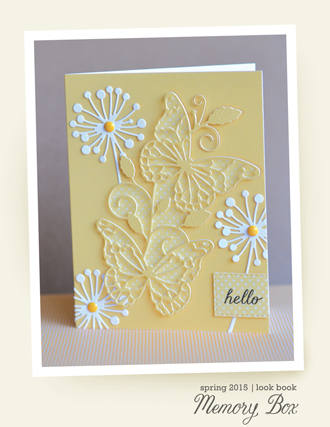 Press the delicate diecut onto the embossed frame. 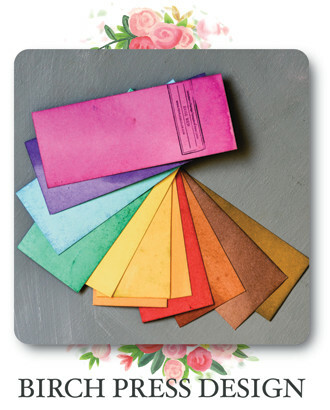 Stamp the dotted strip - from the greetings set - on white cardstock with Brilliance Pearlescent Thyme. 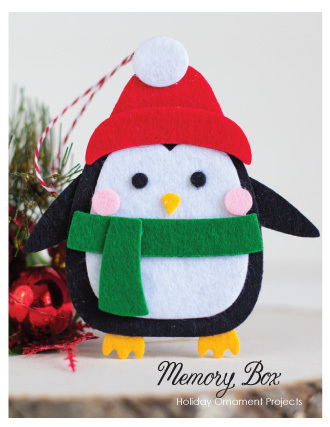 Dry the ink,then trim it to about 4-½" long. 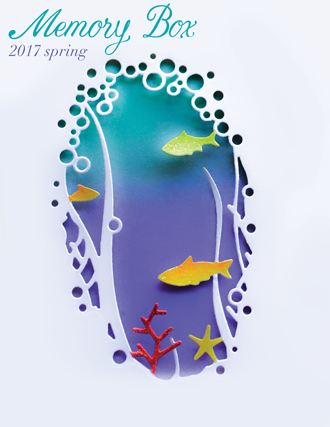 Stamp the greeting - from the new Bold Friendly Greetings Clear Stamp Set - onto white cardstock with Brilliance Pearlescent Orchid. 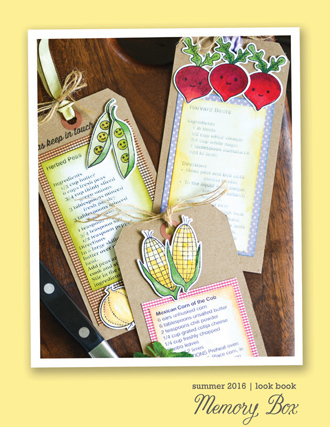 Trim it with the 1" x 2-¼" Rectangle Basics die. 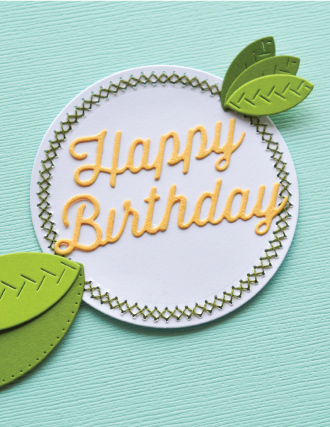 Cut the blossom stem from green cardstock. 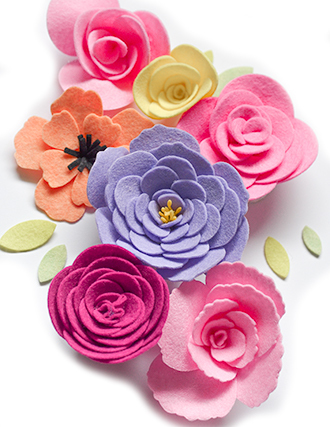 Attach pink felt to adhesive label paper (or a sticker sheet) and diecut just the flowers. 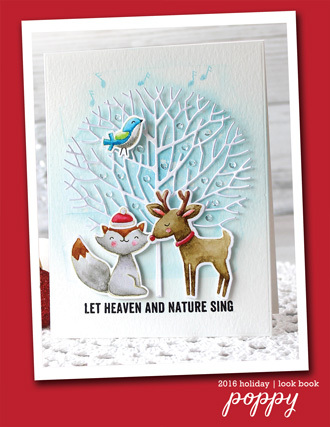 The adhesive backing stabilizes the felt and keeps adhesives from soaking through the fabicc. Cut the small Simple Garden Pot from silver cardstock. 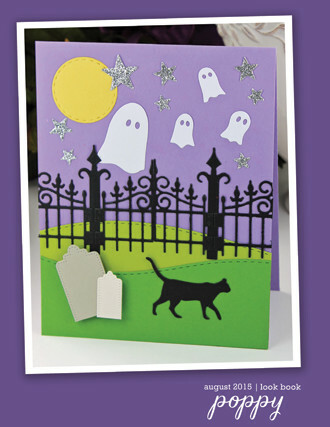 Attach all of the pieces to a side-folded 5-¼" square card - use foam dots for the greeting. Very big thanks to everyone from Monday's SIMPLY ASIAN class at Impress! I appreciate how so many of you drove and/or ferried to Tukwila after days of snow, ice and slush. Thanks also to everyone who helped shovel your driveway so you could get to Tukwila. 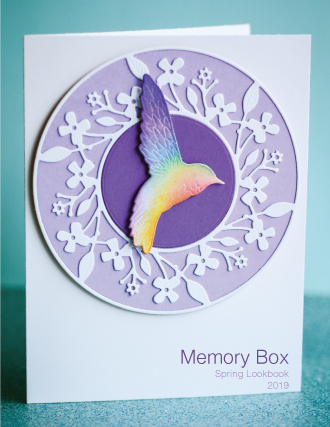 And thanks to Ann and Shari for helping everyone fill their shopping baskets with the new Spring Collection. 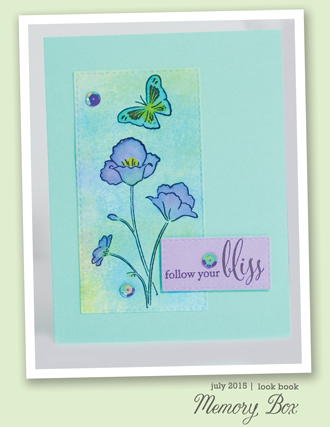 See you again at this Saturday's BIRCH PRESS GREETINGS Class at Impress! 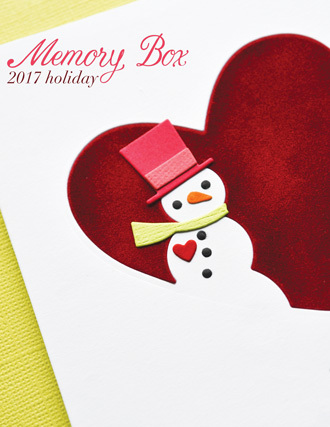 I started by creating a white cardbase. 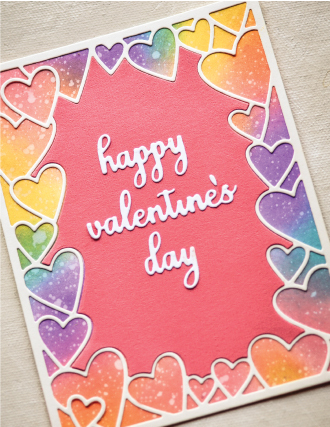 I then stamped some hearts using very light ink colors. I flicked some pink and gold splatters to it. Now, I cut a panel using watercolor paper and colored it using pink watercolor, let dry. 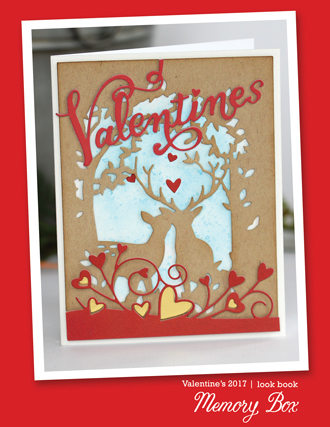 Meanwhile I die-cut a white twig, a vellum heart and the word "LOVE" using gold and white cardstock. 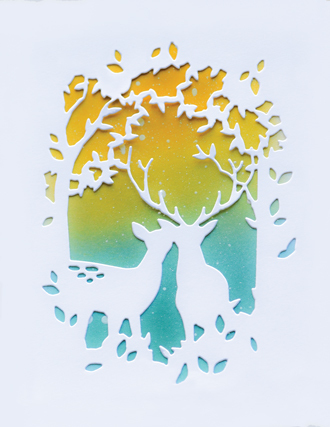 Adhere the white LOVE word to the gold shadow die-cut. 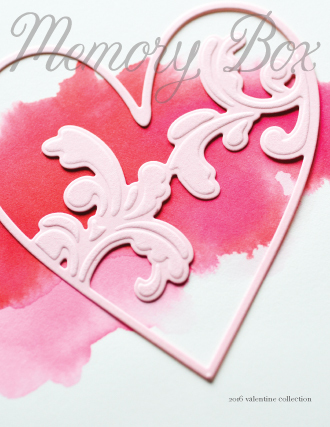 I then die-cut the pink panel using "Heart Board" die. 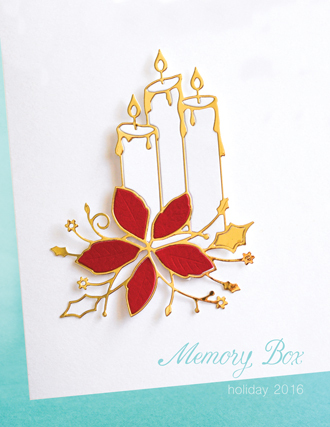 Once all the die-cuts were ready, I simply adhered all the pieces to the card forming a cluster.